Online Profile -- Receive a full profile listing (including links to your website) in the Chapter's popular online, searchable Membership Directory. Let people looking for green find you! 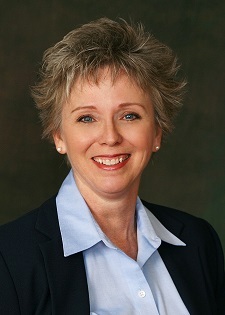 Networking -- Enjoy GREENworking opportunities with key professionals shaping the future of Florida. Each Region hosts events every month, including occasional "Members Only" events. Recognition and Feel-Good Factor -- Be a part of a growing group of individuals and businesses affecting positive change in Florida. Contribute your expertise and passion to a community that is working to make the State of Florida green, sustainable and prosperous. Volunteer Family -- Where the green-building pedal hits the metal! Involvement with local grassroots, GREENworking-heavy initiatives is one of the most beneficial -- and fun -- components of membership. Also, membership means eligibility for leadership positions -- help set the agenda for green building in Florida from a seat at the Board table. Volunteers make THE difference in increasing the capacity, reach, influence and, most importantly, impact of the USGBC. Easy Credentialing -- Keep up with your LEED Green Associate and LEED AP credentialing through FREE access (for members only) to a variety of monthly educational webcasts. Discounted Admission -- Obtain LEED education and test-prep courses from USGBC Florida top experts, industry leader Everblue, and other partners of our Chapter. Competitive Advantage -- Gain direct knowledge about green building and sustainable living, create brand awareness, and lifelong learning opportunities surrounding sustainable and green principles. This includes access to master-level presentations on green building, incentives, alternative design and construction methodologies, and LEED subjects to help with clients, fellow colleagues, general education, and your career. Communications -- Members receive regular information blasts of upcoming events and green resources. Events Calendar -- Stay up to date on green development issues and activities in Florida -- the USGBC's and our many partners'. Champions Around the State -- USGBC Florida isn't an island. We team up with innovative organizations whose collaborative reach extends beyond our own. 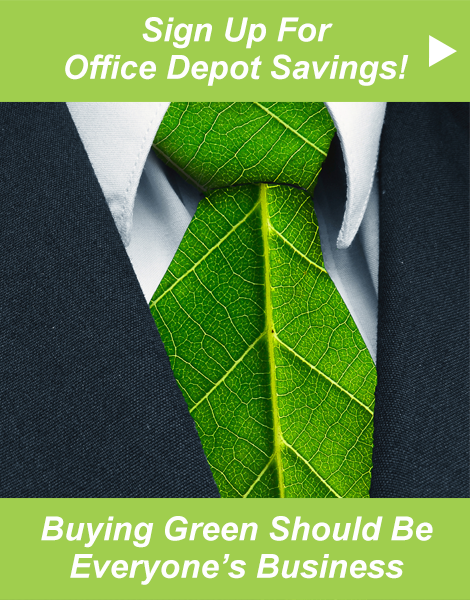 Discounted Green Office Supplies -- Benefit from deep, one-of-a-kind discounts via USGBC Florida's partnership with Office Depot's Green Group Savings Program. Absolutely free registration! Program Discounts -- Take advantage of discounts (and oftentimes free) to regional programs, tours, workshops and events. Free Webcasts -- Monthly GBCI (and at times AIA) CEU webcasts (FREE to members; $25 for non-members -- $250 savings). Green Building Workshops -- LEED workshops and exam-prep courses ($50-$150 savings per workshop). Tours -- Building tours and product demonstrations. Fun Gatherings -- Socials, Signature Regional Programs and GREENworking. With your USGBC Florida Chapter membership, you can affiliate with one of the seven Regions closest to you: Central Florida, Florida Capital, Florida Gulf Coast, Heart of Florida (Gainesville), Northeast Florida (Jacksonville), Northern Gulf Coast (Pensacola), and South Florida. Programs, education, local market and advocacy incentives all take place in your Region. Your benefits of membership are statewide, but all green building is local. Click on the links in the green bar at the bottom of this page to learn more about your Region. By joining the Chapter, you can stand up, be counted and make a difference with other Florida residents, businesses and voters concerned with making meaningful changes in the way we build! Take it a step further by taking a volunteer leadership role in the Chapter, or assist in developing education, information and outreach programs that are specific to your local industry and social community. Login by clicking on the Login button then entering your email address and password (upper right, any webpage). If your password doesn't work, click the Forgot Password link after clicking the Login button and follow prompts. If prompted to login as an Administrator or Member, select Member. Once signed in, click on your name (upper right, any webpage). Update your information and click the Save button at the bottom of the page. On this page, you also have the ability to change your password, alter your privacy settings, and edit your event-specific email subscriptions. If you need assistance with updating your profile, please contact membership@usgbcflorida.org. Chances are, your membership has expired. Renewing is easy ... and thanks for doing so and supporting our nonprofit organization! Login by clicking on the Login button then entering your email address and password (upper right, any webpage). If your password doesn't work, click the Forgot Password link next to the Login button and follow prompts. If prompted to login as an Administrator or Member, select Member. You will be taken to a screen with two buttons to the right of your membership details -- click "Renew until ... "
You will be taken to another page where you can update your profile, if necessary. After those efforts, click the box "Update and next". Next will be steps presented to "Confirm" your information and securely process your credit card. As soon as you renew, refresh your browser and check out your online membership profile! If you need assistance renewing your membership, please contact membership@usgbcflorida.org. When I first heard the quote - "we do not inherit the earth from our ancestors; we borrow it from our children" - it galvanized me toward sustainable practices so that my children and grandchildren can have a safe, natural world in which to live.